There’s no question that online videos have become part of our everyday lives. 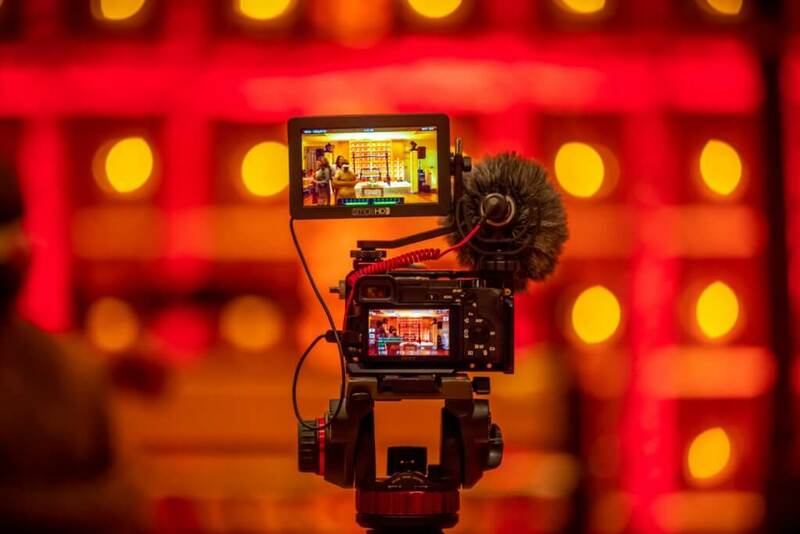 From social media sites to advances in the technology used to create and share content via mobile networks and web-based applications, videos have become a ubiquitous form of communication in the 21st century. In fact, video traffic made up 60% of the total amount of mobile data traffic in 2016. And, it is predicted that videos will account for 82% of internet traffic by 2022. So, in light of the influence that videos have come to play and likely will continue to play, why not take advantage of the affordances that they offer for language learning? Even in its analogue form, video has been used in some form or another as part of the language learning experience. However, with the continued advancement of this technology, the opportunities for it to be an engaging, effective, and efficient element of the language learning process have exploded. At Voxy, videos are used to do just that; they provide interesting and interactive input that appeals to the needs of different individuals. Along with images, articles, and audio resources, videos are an important part of the catalogue of content that learners are able to interact with on the Voxy platform. Whether they are just starting out or nearing the end of their language learning journey, there is a wide variety of videos that can be useful for the absolute beginner through to the most advanced learner. In addition to catering to different levels, the content of the videos themselves on Voxy are also designed to meet the needs and interests of various learners. From specifically curated content for academic or specific purposes, to more generic, everyday topics such as health, pop culture, or travel, Voxy has compiled an eclectic collection of videos that help provide everyone with a personalized platform. The Content Team at Voxy works to both source and create content that can be turned into lessons for language learners. Whether it be through the use of secondary sources or the creation of firsthand content, a wealth of videos are converted into lessons to meet the different needs, goals, and interests of Voxy users. However, it’s not just that videos align with Voxy’s vision of a personalized program of learning. The aim is also to give learners access to authentic, real-life content. Whether they be in-house videos based around everyday tasks, the online videos of internet vloggers, or content that comes directly from our news media partners, learners can get access to an array of real-world materials. “We know that language learning works best when learners practice with materials that are interesting to them and relevant to their own goals, which is why one-size-fits-all approaches tend to fall flat,” says Dr. Katie Nielson. Designing lessons around real-world content that learners are exposed to in their everyday lives means that there is a value to the videos that they’re viewing. By breaking these videos down, lessons are helping learners make sense of the real media that they encounter each and every day. And, with new content constantly being added to Voxy, learners can keep up with media that is relevant and extremely current. So, regardless of the learning environment (i.e. face-to-face, blended, or fully online), videos are a valuable tool to work with. And being a medium that many learners will most likely already be familiar with in their daily lives, videos can be a fun and functional way of incorporating input that’s intended to be interesting, interactive, and more importantly, individualized. This entry was posted in Learning and Development Materials, Research. Bookmark the permalink.